Marc McNulty has revealed Hearts made enquiries about takling him to Tynecastle before the Reading striker sealed a loan move to Hibs. The former Livingston forward has been in fine form since swapping the Madejski Stadium for Easter Road, netting seven goals and adding three assists in nine games. But it could have been very different for the 26-year-old, who was a target for Hearts early in the January transfer window. Appearing on Danny Denholm’s Lower League Ramblings podcast, Scotland international McNulty said: “There was a wee bit of interest - I had a couple of conversations with someone at Hearts and that was at the start of the window. “I said that I didn’t really want to come back up to Scotland at the time, which I didn’t – I wanted to stay down the road. “But things changed and by then Hearts had moved on or whatever. It took me a while to decide on whether to come back up the road because there’s a lot of things that you need to think about. 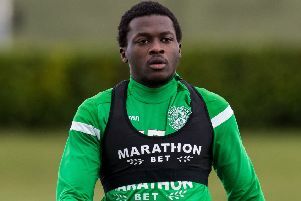 McNulty also opened up about Neil Lennon’s sudden departure from Hibs, admitting he hadn’t quite made his mind up on a return to Easter Road when the Northern Irishman left the club. “Neil phoned me - I think it was the night before it all kicked off - so it was a bit of a strange time because I hadn’t quite made up my mind,” McNulty said. “I’d spoken to him and thought it sounded great, he was one of those managers you think can get the best out of you. “I had a conversation with him and tried to get the deal done and then my mate text me saying, ‘Neil’s away’ and I’m thinking, ‘oh no’. “But they’ve got the recruitment side of it at Hibs, like a lot of clubs have. [Recruitment chief Graham Mathie and scout Mikey Meechan] rang me straight away to tell me the club were still wanting me so it was about being wanted as well. McNulty joined Reading from Coventry last summer, but scored just once in 15 games for the Royals as he was used mainly as a substitute. He completed the full 90 minutes just twice, both times in EFL Cup matches. He went nearly two months without a game, between December 8 and February 2, but scored on his first start for Hibs in a 3-1 Scottish Cup win over Raith Rovers. 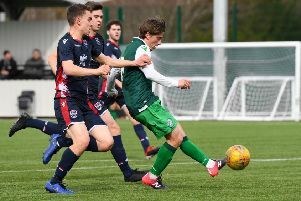 McNulty followed that up with the second in a 2-0 win over Hamilton, before netting doubles against Dundee and St Johnstone as Hibs won successive away matches. He won his first caps for Scotland against Kazakhstan and San Marino over the weekend.